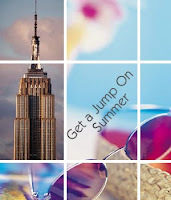 Get a jump on summer at the Radisson Martinique in NYC. Book your stay now until March 31st, 2010 and receive a 30% savings on standard room rates for all stays in July & August... Plus receive a Macy's discount coupon and a complimentary cocktail at the Cafe Martinique! Visit http://www.themartinique.com/summer.html to book your reservation.